Sunday was another wonderful day with quite a few folks fishing. 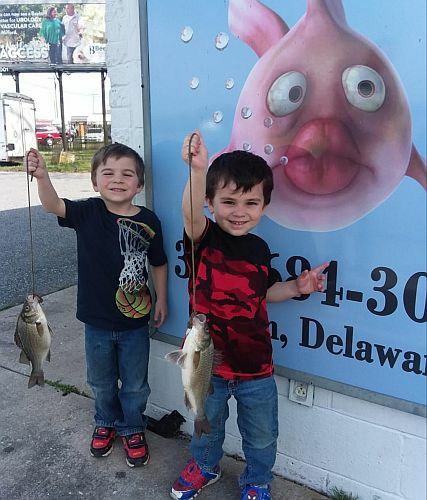 The big new comes from Rick’s Bait and Tackle where the first keeper flounder of the 2019 season was reported. It was caught along with two shorts out of Indian River Bay. George at Eastern Marine in Newark had over 30 freshwater trout citations from opening day. Two of the lucky anglers were Sandra Short who caught a 2.5-pound rainbow out of Rittenhouse Park in Newark and Don Smith who had another two-pound rainbow from White Clay Creek. The Saltwater Fly Anglers of Delaware held a Pickerel Tournament on Saturday with two-person teams fishing ponds of their choice. The all-release contest was scored on total inches with Loretta Smith and Roy Miller taking First Place with 21 pickerel measuring 352 inches. The largest pickerel of the day was caught by Ted Moorlock and measured 24 inches total length.